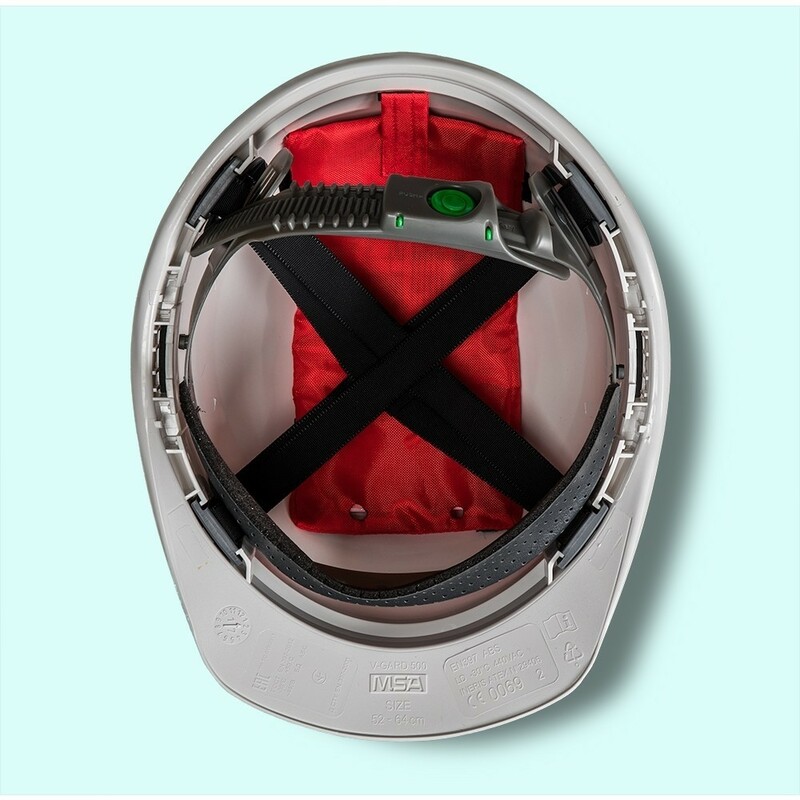 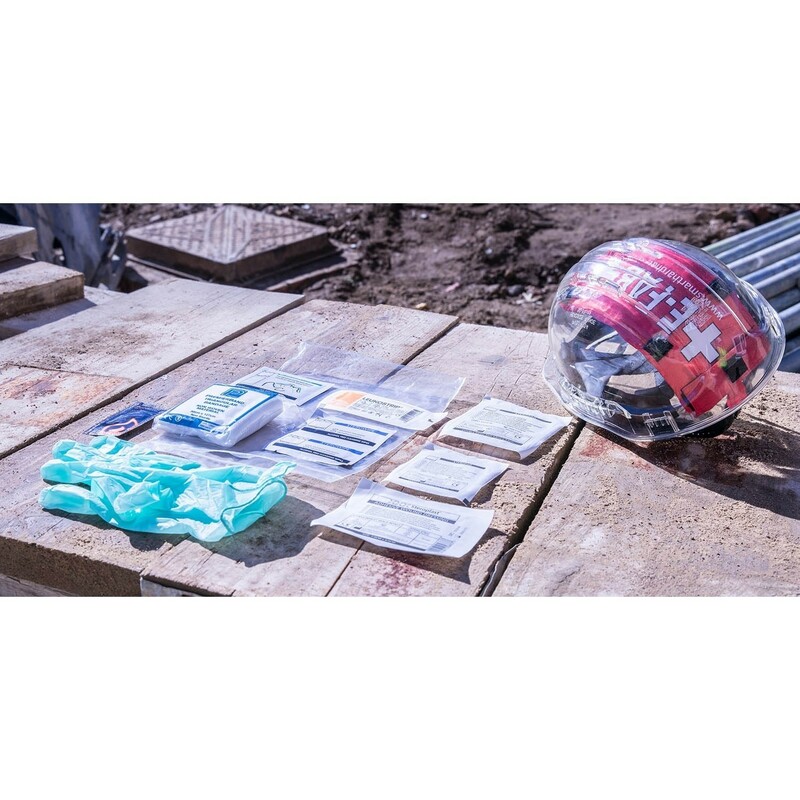 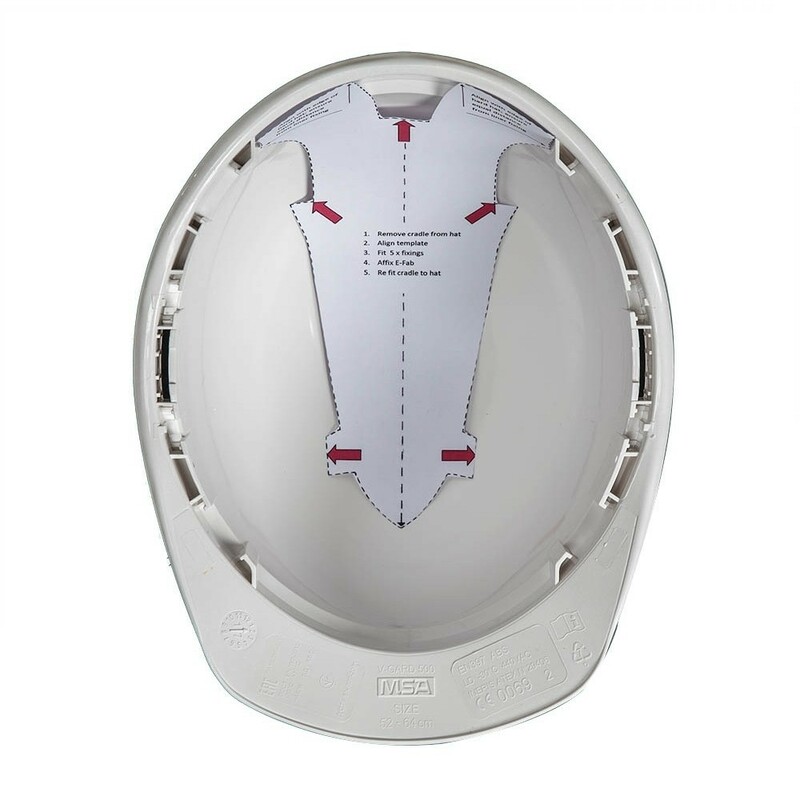 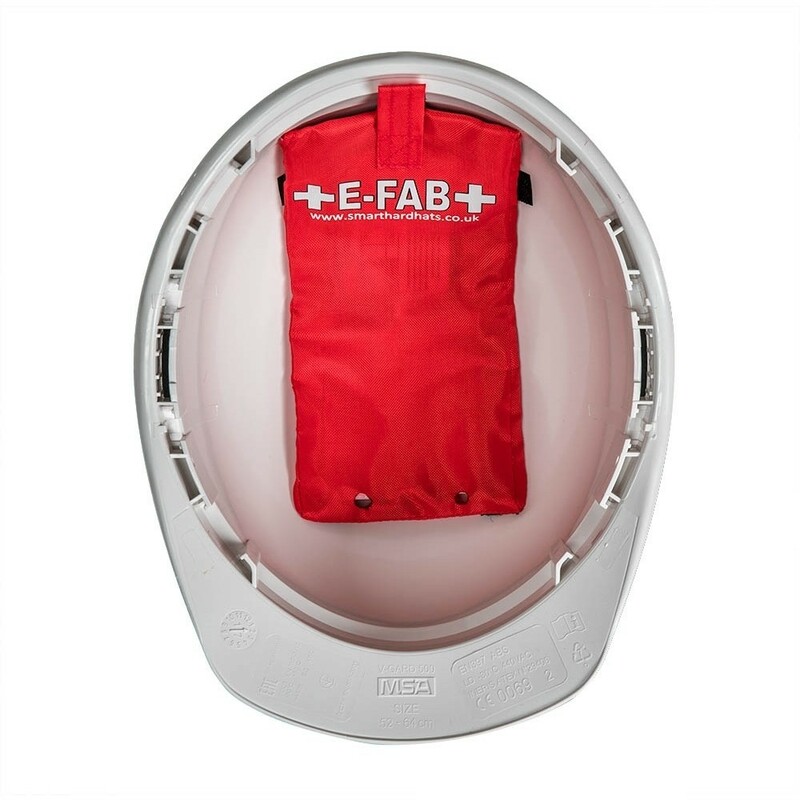 A first aid bag that fits unobtrusively inside your hard hat. 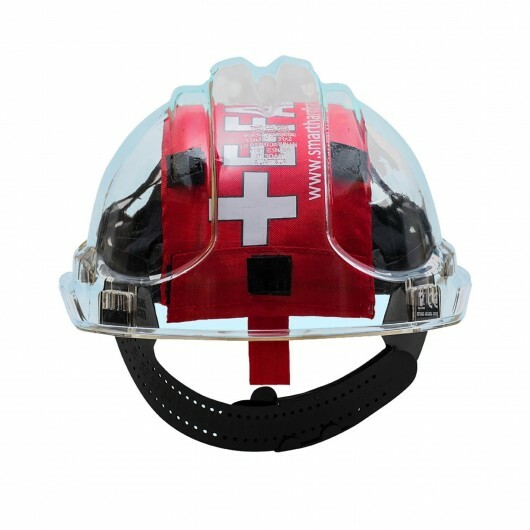 Please note: hard hat not included. 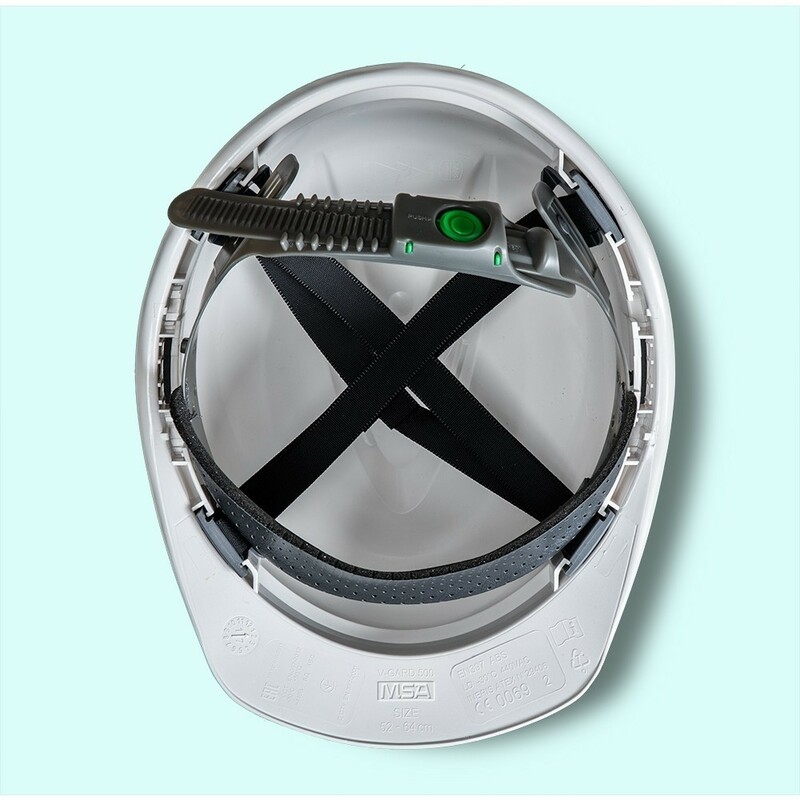 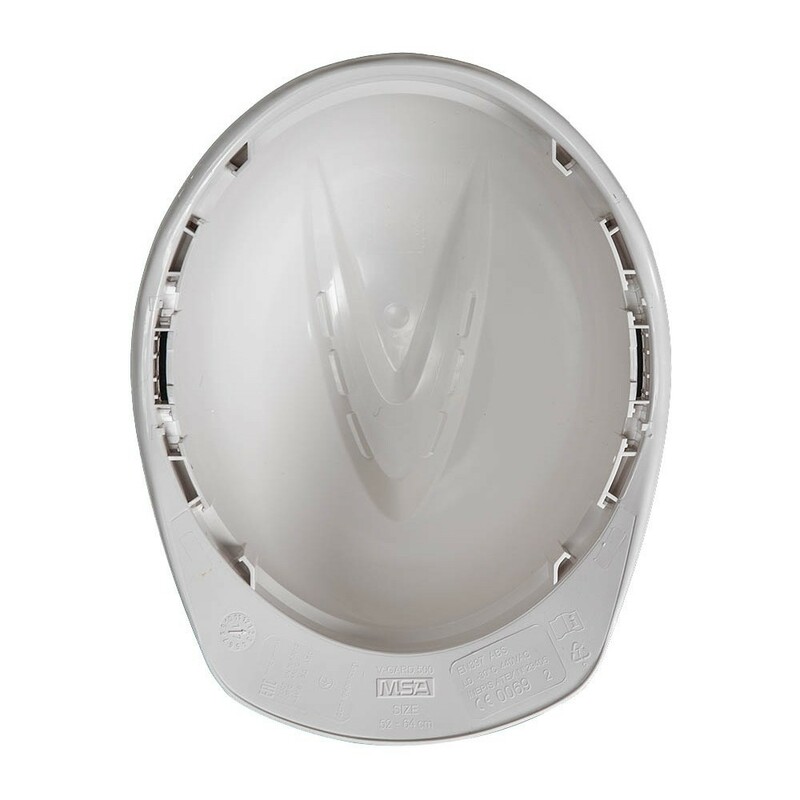 The first aid kit fits in all standard hard hats after attaching velcro.